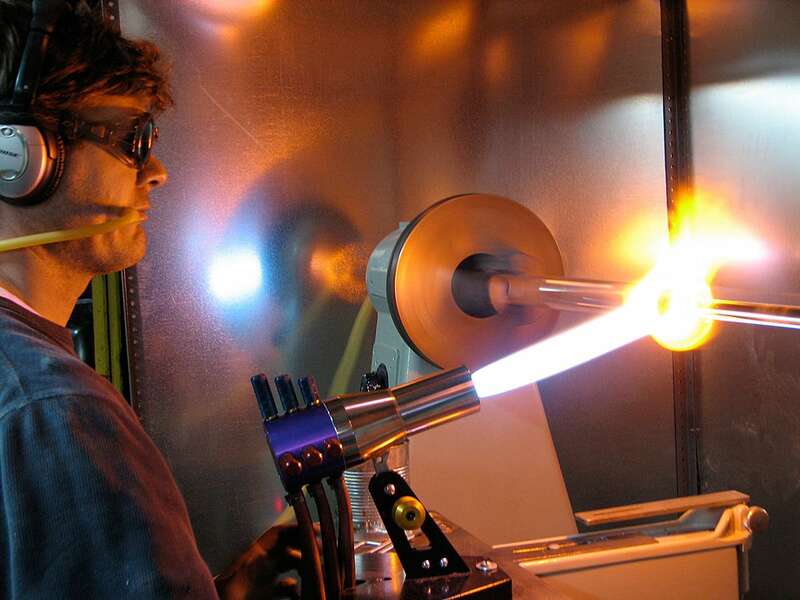 Born in Santa Fe and growing up on a cattle ranch in northern New Mexico, award-winning artist Scott Pernicka, of Internal Fire Glass, has been sculpting glass into works of art since 1998. 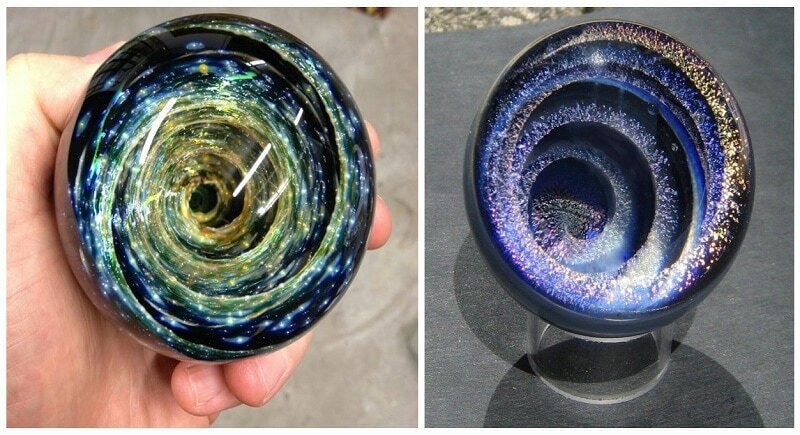 These crazy-cool vortex spheres look like swirling galaxies that lead to another dimension. I’m serious… don’t stare too long, you might just get sucked in. 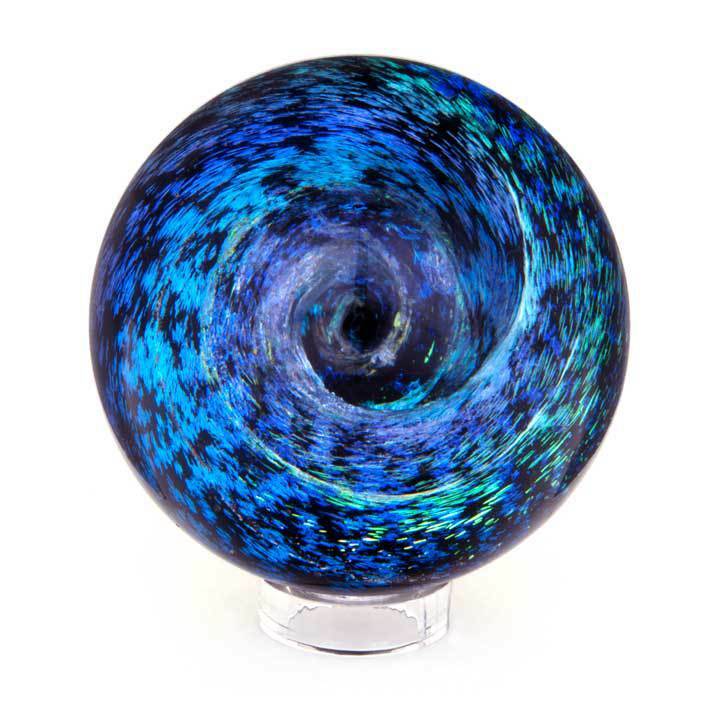 According to Pernicka, “I use a flameworking process to melt and shape high-quality Borosilicate glass at temperatures over 3000 degrees. 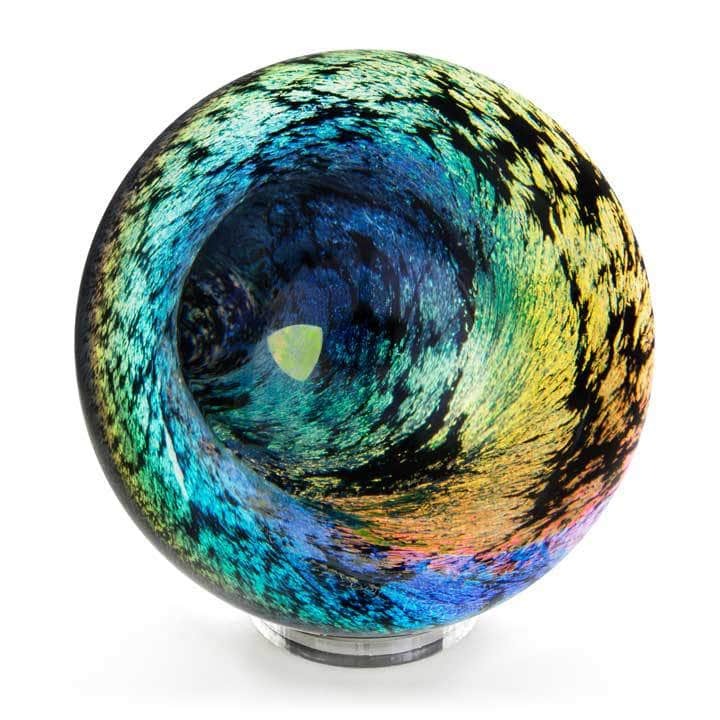 Color is added using different types of crystallized metal and metal oxides.” Along with these mesmerizing glass spheres, Pernicka also creates and sells amazing custom jewelry and sculptures. 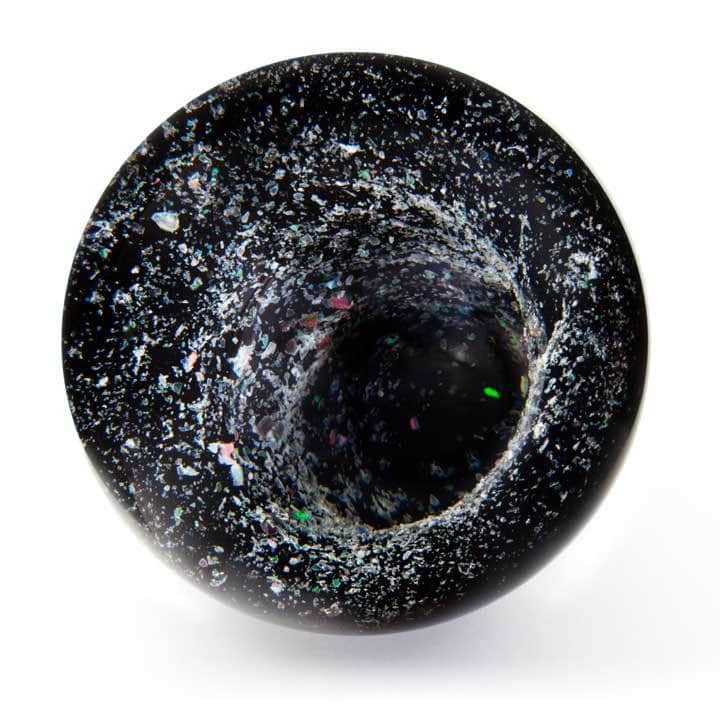 His work can also be found in galleries across the United States, and in private collections around the world. 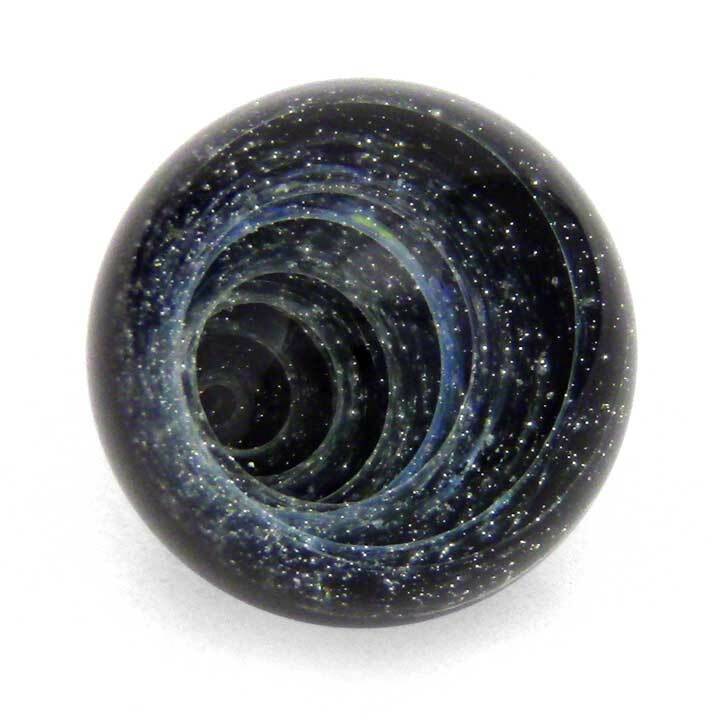 You can purchase these cool mesmerizing galaxies and glass type sculptures here. You can also check out Pernicka’s website, Facebook and Instagram for more information.